Рецензия на фильм на английском языке. Рецензия на фильм "Аватар"
Вы уже умеете писать рецензию на книгу на английском языке и сегодня мы будем учиться писать рецензию на фильм на английском языке, что является довольно-таки сложным заданием и вполне может встретиться вам на разных олимпиадах по английскому языку. Рецензия на книгу и рецензия на фильм примерно одинаковы по сути, но немного отличаются в деталях (лексике). 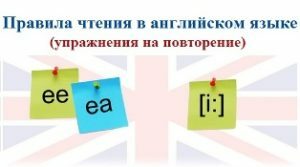 Вы можете использовать полезные выражения из этих двух заданий самостоятельно. Итак, начнем. The main film of the year 2009 is «Avatar» by James Cameron, the producer of such films as «Terminator», «Titanic», «The Strangers». This film ranks with above-mentioned world-famous films and probably belongs to the science-fiction genre. The action of the film is set on the planet Pandora in the year of 3000. The plot is rather simple: the super hero Avatar is to save the alien planet and to fulfill this mission he struggles with a lot of difficulties. The main character, Jack Sally, is a disabled navy who has just come back from the war. The film starts with the scene when he is invited to take part in a secret expedition to the planet, inhabited by weird creatures. Thus, he becomes the part of the programme called Avatar. Being turned into a a three-metre giant with blue skin, he is sent to the planet with the help of special «drivers» that link his mind to the mind of Avatar. What impressed me most is the spectacular world of aliens that we, the audience, see through the eyes of the main character. The special effects and 3D technologies enhance the impression of the bright and colourful world in contrast to the human one, which is grey and dying. The plot of the film is fast-moving with some amusing episodes. For those who are indifferent to the computer graphics, there is another storyline that is love of «the dream worker» to a beautiful female alien, who, being hostile and suspicious at first, falls in love with him. Such love is forbidden and as a result the pair is chased by the aliens. Happily, they managed to escape in the end. To my mind, the brillant acting of Sam Worthingdon, who is starring in the film, is above all expectations. To sum up, I can say that the film «Avatar» is that kind of film that takes us to a special world beyond imagination. More than that, it is the film that you want to watch over and over again. Definitely, the new film by Cameron couldn’t be missed.